Mourning the victims of Sunday’s Tu-154 plane crash in Russia, in which 92 people died, including 64 members of the renowned Alexandrov Ensemble, the Russian Embassy in the US posted on its official Twitter feed one particular song performed by the artists. #GodBlessAmerica sung by the Alexandrov Chorus, FIMMQ 2011. Written and revised in the first half of the 20th century by the Russian-born American composer and lyricist, Irving Berlin, the song was performed by the Russian choir at an international music festival in Quebec, Canada. 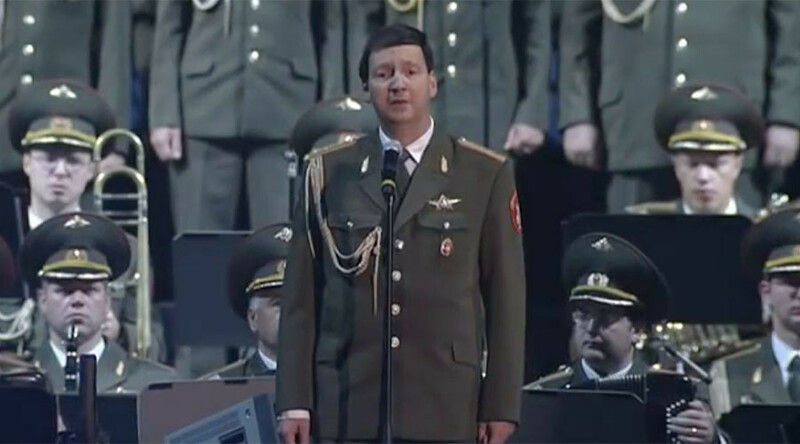 The Alexandrov Ensemble, many members of which were on board the crashed Russian plane that was headed for Syria, is the official choir of the Russian Armed Forces, but its artists performed for peace in any country. "The most peaceful people died – musicians, singers, who had nothing to do with war, but were just singing patriotic songs with their beautiful voices," Nina Shtuko, the mother of one of the choral singers killed in the crash, Aleksandr Shtuko, put it when speaking to RT. The immensely rich and varied repertoire of the internationally-acclaimed Russian Army choir includes over 2,000 numbers. The artists performed many Soviet and traditional Russian folk songs, but in recent years their creativity has taken the choir to a new level of popularity, as they presented their take on worldwide hits. The world-famous Alexandrov Ensemble was en route to Syria to perform at the Latakia airbase for Russian servicemen ahead of the New Year’s holiday celebrations.